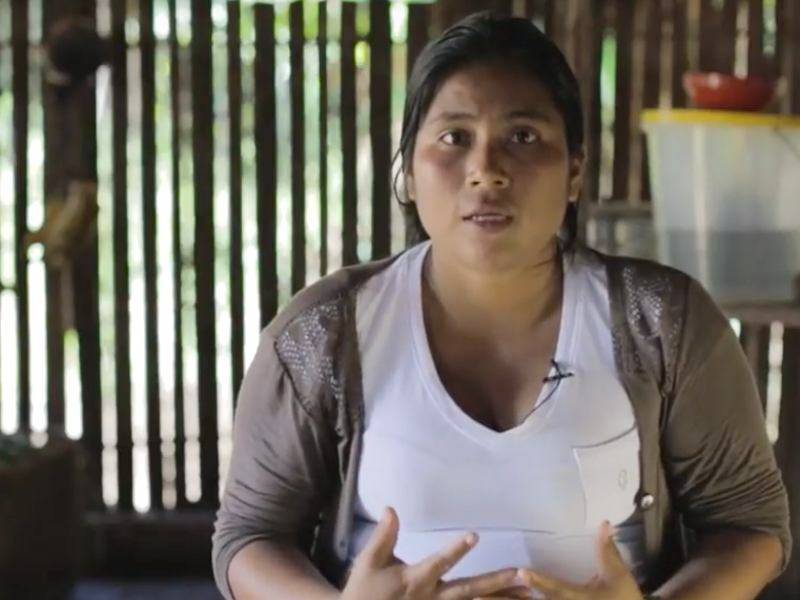 AMAZON WATCH » Sarayaku Launches Living Forest Proposal - Viva Kawsak Sacha! Sarayaku Launches Living Forest Proposal – ¡Viva Kawsak Sacha! In late July, the Kichwa People of Sarayaku officially launched their visionary Kawsak Sacha (Living Forest) proposal to the world. It was an incredibly beautiful, energizing, and historic moment to witness! For the last twenty years, Sarayaku has resisted all efforts to extract resources from the living forest, including keeping 100 million barrels of oil under the soil, inspiring us with their steadfast resistance and determination to be a shining light for the Amazon and beyond. The Kawsak Sacha launch was no exception. The launch included a formal presentation to the Ecuadorian government and international dignitaries, as well as an exhibition and conference in Quito to showcase Sarayaku's way of life, culture, and alternative vision for truly living well in the world. The launch was timed to coincide with the six-year anniversary of the historic ruling at the Inter-American Court of Human Rights (IACHR) in favor of Sarayaku. Nearly a quarter of Sarayaku's 1,200 people, including men, women, children, and youth, guided by their elders, led by their elected leaders, publicly and proudly brought forth a proposal they had worked on for decades. It is a proposal that the world needs now: an indigenous-led solution to protect forests and keep fossil fuels in the ground. For the last six months, the people of Sarayaku engaged in a minga like no other. A minga is a communal work effort, like building a house or planting a new garden. The Kawsak Sacha minga involved the entire community, from Tayjasaruta, Sarayaku's governing body, led by its President Mirian Cisneros; the Kurakas, community leaders; the communications team; the women's association; Atayak, the traditional school; Wio, the indigenous guard; children; and many volunteers to plan all of the logistics for the Inauguration, launch and conference events. It was no small feat! The minga also involved Sarayaku's international allies to promote and support the launch, including Amazon Watch, IEN, WECAN, Pachamama Alliance, Rainforest Action Network, Land is Life, Oro Verde and more, including author and academic Eduardo Kohn. At the launch, our team worked closely with Sarayaku's communications team and in coordination with Indigenous Rising Media and Fundacion Pachamama to ensure that the Kawsak Sacha launch events and voices of the people of Sarayaku were heard. The launch events began with an Inauguration on July 25th with ceremonial drumming and dancing at the traditional house built at Arbolito Park in Quito, followed by a welcome and inauguration of the Habitat Pavilion which served as Sarayaku's home in Quito for the next few days. It was adorned with palms, photos, and videos of Sarayaku life and clay pottery made by women and children. It also featured a traditional medicine booth and wituk face painting, and beautiful feather and beaded jewelry for sale. Outside, chicha, fermented yucca drink, and maitos, fish wrapped in banana leaves, were also offered. It was as close as you could get to Sarayaku without traveling there. The official launch of the Kawsak Sacha Proposal was held on July 26th at the Teatro Capitol, a historic theater in Quito. To see and feel the Teatro filled with nearly 300 people from Sarayaku and their allies was truly remarkable! I was moved to tears as Mirian Cisneros, President of Sarayaku, handed the proposal to Elizabeth Cabezas, President of the National Assembly and Julio César Trujillo, President of Consejo de Participación Transitorio (Cpccs). The formal presentation was followed by declarations of support by representatives of the International Union for the Conservation of Nature (IUCN), the national and Amazonian indigenous federations of Ecuador, and songs by women, youth, and elders, including by Don Sabino Gualinga, who shared tobacco and a traditional Taki song from the spirits. This was followed by a lively celebration and concert by Ecuadorian musicians Guanaco, Chikaru, and Mateo Kingman, which tripled the audience and spirit of support for Sarayaku in Quito. 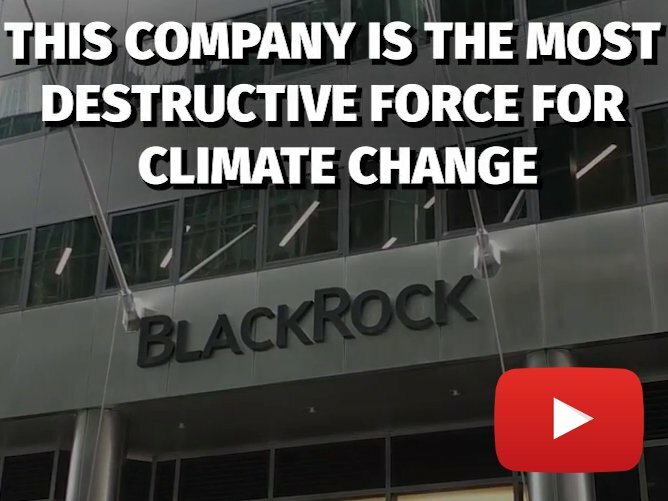 Implementation of IACHR Case, featuring Carlos Mazabanda, Amazon Watch Ecuador Field Coordinator; and Kevin Koenig, Amazon Watch Senior Climate and Energy Strategist. Women and Extractivism, featuring Maura Ikiam (Sarayaku); Alicia Weya Cahuiya (Waorani), Osprey Orielle-Lake (WECAN) and myself as moderator. I was so moved by the power of women and our stories that I asked the women and audience to sing the Keep It in the Ground song (with edited lyrics in Spanish). It was a powerful moment that we'll remember when we need inspiration. Kawsak Sacha is a declaration of life and hope for the future. Sarayaku's ancestral territory of 333,000 acres is Kawsak Sacha. It is the Living Forest – a living and conscious being – that is a rights-bearing entity. The Kichwa of Sarayaku have always had a physical and spiritual connection with the forest and its guardian beings in order to maintain equilibrium and balance in the world. This year, however, Sarayaku decided that the time had come to share their ancestral wisdom on how to protect indigenous rights, the rights of nature, and beyond, with the world. While indigenous territories and the rights of nature are recognized in Ecuador, they are often not respected. Nor has the historic IACHR ruling been respected. Despite the Court order that the Ecuadorian government consult with Sarayaku before initiating any natural resource extraction projects on its territory, the Ecuadorian government has once again concessioned Sarayaku's territory to oil drilling, and plans to launch a new oil round across the country's Amazon region overlapping with the territories of multiple indigenous peoples later this year. Kawsak Sacha is not only the response of resistance in the Amazon, but it is a critical solution in recognition of indigenous rights and territories for Sarayaku and beyond. Simply put, the declaration is a proposal for conservation and preservation of Sarayaku's ancestral territory, free from any form of industrial extraction, based on the life-plans developed by the people of Sarayaku. Specifically, the proposal calls for a new international category of conservation based on indigenous worldviews and cosmovision and upholds indigenous self-determination and governance. While indigenous rights and territories are recognized in Ecuadorian and international law, there is no law or international conservation category that recognizes the interrelationship between indigenous peoples and the forest. "Protected areas created by the Ecuadorian government and international organizations don't protect us and in many cases have violated our rights. They are a temporary solutions that can be changed and manipulated by those in power. What we are proposing is permanent protection of living forests or other critical ecosystems for which indigenous peoples and the whole world depend." The people of Sarayaku have officially submitted their Kawsak Sacha proposal to the Ecuadorian government and international representatives of the IUCN to advance their goal of formal recognition of Kawsak Sacha as a new category of conservation in harmony and in respect of indigenous worldviews. Once this new category is recognized, the people of Sarayaku hope that others around the world will use it as a model to protect rights and territories for all of our collective future. The people of Sarayaku have called upon local, national and international allies to support the full recognition and implementation of the Kawsak Sacha proposal. 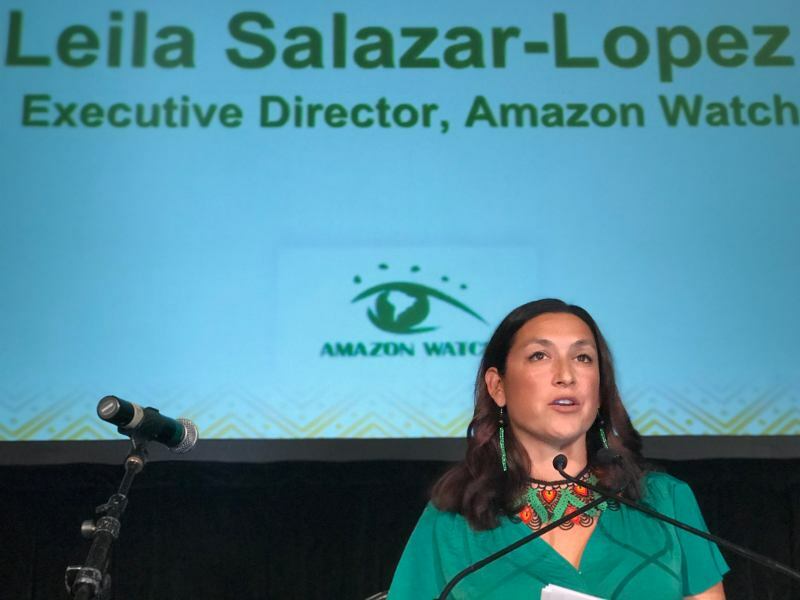 Amazon Watch has worked closely with the people of Sarayaku since 2002 and is fully committed to ensuring that their visionary proposal is implemented and replicated across the Amazon and the world. As global temperatures and greenhouse gas emissions increase, it is clear that solutions to our climate crisis will come from local, indigenous and grassroots communities working to protect rights, nature, keep fossil fuels in the ground and advance a just transition to 100% renewable energy. Please join us in standing with Sarayaku to build a movement to protect living forests, indigenous rights, the rights of nature, our climate and our future! ¡Viva Kawsak Sacha! To learn more, visit the Kawsak Sacha website. Please also follow and share Sarayaku Defensores de la Selva on Facebook, Sarayaku_Libre on Twitter, and Kawsak Sacha on Instagram. Donate to support the Kawsak Sacha launch. Sign a solidarity letter: send your name, organization/nation/affiliation, and contact info to amazon@amazonwatch.org.